What Is Automated Garbage Collection? Automated garbage collection consists of specially designed wheeled carts, and collection vehicles equipped with articulated arms. A single operator picks up and dumps the carts by controlling the articulated arm from the truck cab. Phase One was implemented in 2018. Phase Two cart delivery begins in May 2019 and will take 4-6 weeks to complete. Start using your cart as soon as you receive it. Residents should read all the instructions, rules and FAQs detailed in the Automated Garbage Guide attached to their carts or Click Here to read the Guide. Important Note: Recycling and yard waste collection remains unchanged and must be placed at the curb at least 1 metre (3 feet) away from the garbage cart. When you receive your cart please take a moment to write your address on both sides of the cart using permanent marker. 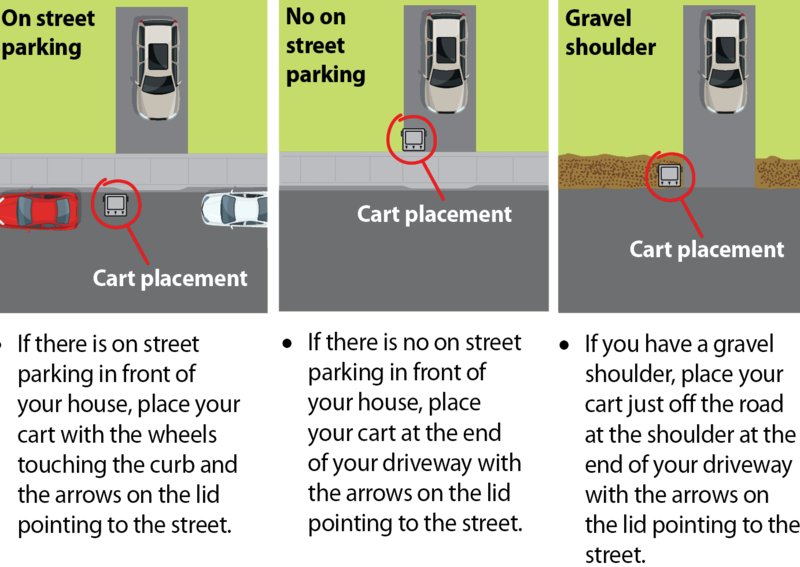 All the carts look the same, having the address on the cart will make it easy for you, your neighbor and city staff to find the proper address for the cart if it goes missing from the property. Though your cart is provided by the City at no additional cost, if you damage or lose your cart replacements will be charged at full-cost recovery. Are you in an Automated Garbage Collection Area? To check if your address is in an automated garbage collection area Click Here. Get our APP Here or sign up for Reminders of your recycling and garbage days, and so you get notified if collection has been postponed or cancelled. For Reminders, Click Here or call 311 or 754-2489. Residents who have concerns about their ability to maneuver their cart to the collection point can apply for an Exemption from Automated Garbage. To apply Click Here. To learn more about how to place your cart watch this Video.